Dragons figure prominently in so many cultures and belief systems. The dragon is an ancient Celtic icon, reputedly used as the battle standard of King Arthur, and a symbol of Wales since as early as the year 829 AD. 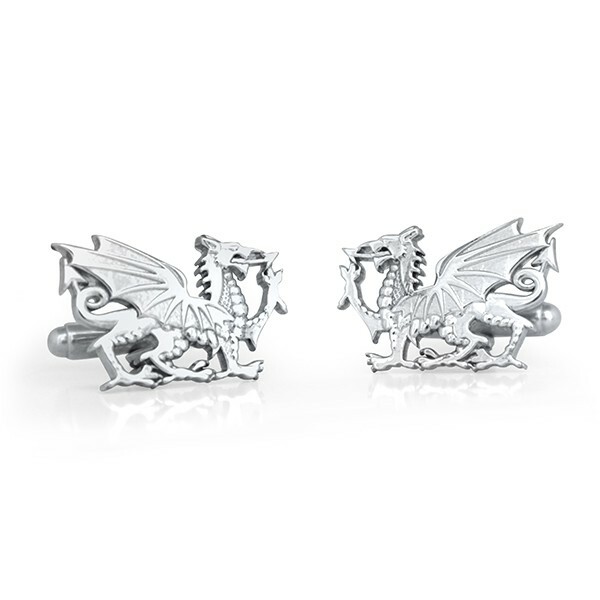 Dragons have also figured prominently in Chinese culture for thousands of years, symbolizing power, and creativity. If you were born in 1964, 1976, 1988, 2000, or 2012, you were born in the Year of the Dragon. Dragons appear in Buddhist mythology, and in many family crests. We create our sterling silver cufflinks by hand in our studio and they have brought us nothing but good fortune so far!